Littleton, CO Littleton delivers great views and easy access to the nearby mountains. Littleton started as a community of farmers and merchants that sold food and supplies to the miners in the Pike’s Peak Gold Rush of 1859. Today, many of those old buildings remain in tact in this appealing, family-oriented city just southwest of Denver. Downtown Littleton takes you back in time with turn-of-the-century buildings and small town friendliness. It’s a fun place to go for local shops, restaurants, bars and even the local bowling alley. Nearby is the Littleton Historical Museum, which shows how 19th century farmers lived here and maintains two working farms with chickens, pigs, horses and other animals. Littleton is known for having excellent schools, both public and private. Recently, four elementary schools in Littleton received the Governor’s Distinguished Improvement Award from the Colorado Department of Education. Powell Middle School was also one of only five middle schools recently named a Colorado Trailblazer School to Watch by the Colorado Association of Middle Level. The median home value in Littleton, CO is $399,450. This is higher than the county median home value of $307,700. The national median home value is $185,800. The average price of homes sold in Littleton, CO is $399,450. Approximately 58.04% of Littleton homes are owned, compared to 36.92% rented, while 5.04% are vacant. 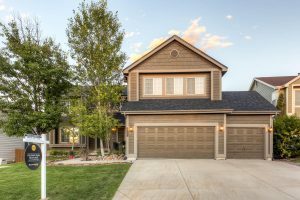 Littleton real estate listings include condos, townhomes, and single family homes for sale. Commercial properties are also available. If you see a property you’re interested in, contact a Littleton real estate agent to arrange a tour today! 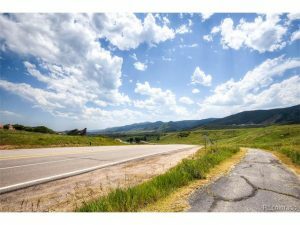 Colorado Team Real Estate | Realty One Group Premier- Licensed in the State of Colorado. The real estate listing information and related content displayed on this site is provided exclusively for consumers’ personal, non-commercial use and may not be used for any purpose other than to identify prospective properties consumers may be interested in purchasing. This information and related content is deemed reliable but is not guaranteed accurate by the Pikes Peak REALTOR® Services Corp. Data last updated 2019-04-22T13:41:06.763.